The haze and air quality situation in Singapore continues to fluctuate substantively each day. 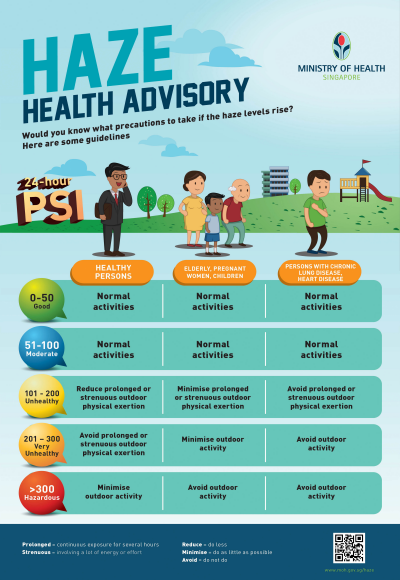 We understand that the haze and air quality situation may impact everyone differently, in the meantime, continue to stay vigilant and take appropriate precautions. Please refer to following link for more information and FAQs. Training cancellation announcement will be made when the haze conditions worsen to PSI>300. We seek members' understanding on the relatively short notice for any cancellation announcement.